Ford Aspire was an offshoot of the Festiva and the Aspire is still in production in some countries. The Aspire quickly gained a following in the U.S. due to its compact size and excellent gas mileage. Ford knows how to create cars that the public loves and the Aspire was no different. Only 5 years of U.S. production was given in North America although we have Ford Aspire car engines for sale still in our inventory. We are able to get these for a lower price and we pass the price along to our customers here at www.carenginesforsale.com. Get these used or rebuilt Ford engines for less. To buy used or rebuilt that is the question. The easy answer to this question depends on your budget. Our used engines are priced very low and are nothing like what you might have found when searching eBay or another auction website. Our engines actually run and are very clean. A used engine usually costs less than a rebuilt one because nothing inside is changed out. We buy engines that are lower in mileage to allow you to put thousands of miles on them. 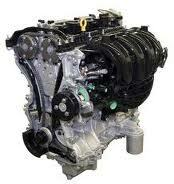 A rebuilt engine costs a little more and what you get is one that can easily be mistaken for a new engine. They are that good. OEM quality is what each of our customers get when a Ford engine is purchased. These engines are literally straight out of Aspire cars that were sitting in dealerships or from our secondary sources. Most of our customers that operate salvage companies or junkyards try to get the best deal on a genuine engine. We make this happen due to our buying power and excellent reputation. Our engine wholesale companies know the depth of our quality standards and never call us unless they have something that is truly remarkable. It would not help our company nor our customers if we bought engines that were not going to last. That’s why we stick with genuine OEM Ford engines for sale. The testing is no different for a used or rebuilt engine here. Our process for that will never change. Our mechanics know exactly how to get things done and each 4-cylinder engine that is tested is done so by a complete professional. We know how to read data charts and compare OEM data. All of our engines begin a life in our engine shop as a used version. These engines are cleaned up and either rebuilt or just sold as a clean used engine. Finding a replacement Ford car engine does not have to be a total mess. Buying from a company with a good reputation and that can provide quality helps a lot. So how much will you pay? That’s the last question you need an answer to. All you have to do is click your mouse one time using our Aspire quote form and you’ll get the price you desperately want. It’s fast and super simple for anyone. You can also call 1-877-630-3873 and speak with us right now. We don’t make you wait.